Ed Sullivan's show -- originally titled "Toast of the Town" -- debuted in 1948. It's long-running announcer (1949 - 1964) was Art Hannes, who became a good friend of mine when we worked together at KIIS in the mid-'70s. Art was a correspondent for CBS News during World War II (one of Edward R. Murrow's "boys") and later became famous as "the voice of CBS," handling network IDs, station breaks, program announcing and more on such shows as "You Are There" and "Johnny Dollar." Hannes participated in Orson Welles' famous "War Of The Worlds" broadcast in 1938 and was not only in the 1975 TV movie adaptation ("The Night That Panicked America") but guided the producers in accurately re-creating the studio from which that legendary program originated. Born in Kentucky in 1922, Art also appeared in the 1953 film "Taxi" and narrated a series of LP biographies of classical composers (with musical excerpts) for Vox. Some of those have since been reissued on CDs. I last saw Art in 1982, shortly before I moved from L.A. to New York. 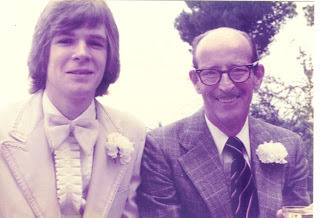 He came over to borrow a typewriter which I never got back -- and always wondered why. Years later I learned that only a few days after he got the typewriter, Art suffered a debilitating stroke from which he never recovered. Art Hannes died in a Sherman Oaks, California nursing home in 1992. Everyone remembers the Beatles, but I liked when The Animals and The Doors were on. They were favorites of mine. I enjoyed seeing Alan Price, the Animals' keyboard player. He was so talented and I believe he wrote House Of The Rising Sun. I know he passed away but hope his family is collecting allot of residual money! I have some of the shows that I purchased on DVD too. What memories! By the way, you can enjoy several of The Animals' appearances on The Ed Sullivan Show thanks to the videos now available thru iTunes ... here's their biggest hit, the aforementioned "The House of the Rising Sun""
Other Animals titles available thru iTunes include "Bring It On Home To Me", "Don't Bring Me Down", "I'm Crying" and "We Gotta Get Out Of This Place". On the day the Beatles first performed on The Ed Sullivan show, there were six other acts booked as well, including the comedy duo Charlie Brill and Mitzi McCall, who suddenly had to rework their act for an audience of teenage girls. I just saw an old Phil Silvers Sgt. Bilco where he takes over The Ed Sullivan show ... really funny with all the real people and Ed himself. There was no title for the show. The plot is Ed's yearly show done by American soldiers. I read this in George Carlin's Book: "For me, the hardest show to do was the 'Ed Sullivan Show'. All the late night shows, you did your 10 minute bit and you were out of there. When you did the 'Sullivan Show' you were there all day. You had to get there early, for rehearsal." I guess the fact that he was heavily into drugs at the time - didn't make it any easier. Kent, have they ever put together a collection of Ed Sullivan's Bloopers? He had a lot of good ones. We do have a short BLOOPERS video (around 30 minutes I think.) Some good moments on it, but in truth there weren't a ton of BLOOPERS on Sullivan. The disc is called "Ed's Outrageous Moments" ... and Andrew describes it as featuring many of "Ed's personal favorites, selected from the most hilarious bloopers, acrobatic feats and incredible stunts ever featured on his show. Fascinating, funny and uniquely Ed." I don't know whether your series will explore this, but --- in my view, the main thing that killed the Ed Sullivan Show was prosperity. When most families could afford only one television, the Sullivan show was something that actually brought families together ... he very astutely included, as you say, "something for the kids" as well as something for grandma and Mom and Pop, too. My guess is that hardly anyone liked ALL the segments of a particular show (my friends and I were particularly scornful of Topo Gigio), but there was at least something there, every week, for someone. You suffered through the Moscow Ballet to be able to see the Dave Clark Five (who, I'm told, were the rock act that performed the most times on the Sullivan show, although the exact count of appearances varies according to the source). This is turning out to be a wonderful and exciting feature! Don't know if you have any way of measuring your week-to-week readership, but it will be interesting to see if there's an uptick in DVD sales! The complete collection of The Beatles' appearances on The Ed Sullivan Show is one of the best sellers in the series ... and it features EVERY appearance they ever made "live on our stage" ... in full-show format, complete with original commercials! (If you watch their very first appearance, you'll even catch a very young pre-Monkee Davy Jones performing his role as "The Artful Dodger" in a stage presentation of "Oliver"!) It's all there in all its original glory, BEAUTIFULLY restored footage that shows the earliest stages of Beatlemania as it hit the U.S. It was a time before Cable TV (and a TV set in every room) ... today, many (if not most) families isolate themselves behind closed doors so that each can watch what THEY want to watch, with little regard for what another family member may be viewing. But "The Ed Sullivan Show" had something for EVERYBODY ... great comedians ... major TV and Sports figures ... Broadway Plays (both musicals and dramas), opera, circus acts, animal acts and, beginning in 1955, the absolute latest in the world of Rock And Roll. Something for EVERYBODY. If you grew up in this era, "The Ed Sullivan Show" was part of your weekly routine ... Ed was practically a part of your family. Incredible as it may seem, this year marks the 40th Year since it was last broadcast on Sunday Nights on CBS Television. In 1990, the exclusive rights to the complete library of "The Ed Sullivan Show" were purchased by Andrew Solt from Ed's daughter Elizabeth and her husband Bob Precht, a long-time Executive Producer on the show. In all, this collection encompasses nearly 1100 hours of classic television, including over 10,000 live performances by virtually EVERY popular entertainer to pass through our collective existence between 1948 and 1971 ... many of whom went on to achieve super-stardom, quite often as a direct result of the exposure they received on Ed's weekly program. I recently had the opportunity to sit down and visit with Andrew Solt and much of that conversation follows in this brand new, exclusive Forgotten Hits Series. (Prior to actually speaking to him, I pictured Andrew up at the very top of the king's tower, surrounded by hundreds and hundreds of video tapes screaming "Mine ... All Mine!!! ", which is probably what I would do if I owned such a collection ... but instead he was very approachable and down to earth about the whole thing ... very proud of his collection, to be sure ... and the legacy that it encompasses ... but also acknowledging that these tapes deserve to be seen by the people who grew up enjoying Ed's program.) And that's really what it comes down to ... what good is HAVING all this one-of-a-kind video footage if you can't SHARE it with somebody! Thankfully, over the years, a few of these vintage performances have found their way to home video or were included as part of television specials and tributes to the legacy of Ed Sullivan ... and, according to Andrew, we're just getting started. Recently there has been a flurry of releases. A few years ago, the best-selling DVD collection of ALL of The Beatles' appearances on "The Ed Sullivan Show" was released. That was followed a short while later by the complete Elvis Presley appearances. Both collections offer the viewer the opportunity to watch ONLY these landmark, legendary musical performances ... or view the entire program EXACTLY as it aired then, complete with original commercials! The past several weeks has brought us The Ed Sullivan Motown Collection (featuring some of the biggest names in Motown) as well as special disks devoted to the performances of Diana Ross and the Supremes and The Temptations. a 4-disk compilation was released on October 4th ... and, just this week, a deluxe 6-disk set which hit stores on November 1st ... meaning fans can now own EVERY appearance ever made by The Rolling Stones on Ed's program ... to enjoy as part of their home music / video library. KENT KOTAL / FORGOTTEN HITS: You were born in London ... and spent some time in South Africa before moving to The United States in 1958. What was YOUR first experience with discovering The Ed Sullivan Show? ANDREW SOLT: I had never seen television before we moved here to America. I was eleven years old the first time I ever watched TV ... and I fell in love with The Ed Sullivan Show. I remember spending an afternoon with my brother watching nothing but game shows and even at that early age wondering "How does anyone get anything done here?" with all that great TV to watch. I was both fascinated and completely captivated. kk: Would you say that you have always been a "fan" of the series? What are some of YOUR favorite remembrances of this landmark series? What kinds of things did YOU tune in to watch, growing up in the late '50's and '60's? AS: The Ed Sullivan Show was always my favorite. Much like you, I may have first tuned in to see the rock and roll acts ... but I also grew to love the variety of SO many different forms of entertainment presented on the same stage during the course of an evening. Besides the rock music for the kids, Ed had Broadway shows, live drama, sports figures, ballet, opera, some great comedians, vaudeville and novelty acts, animals, circus performers and, of course, Topo Gigio! ... truly something for everybody. kk: It seems that Sullivan's shows strived to always have something for everybody. This was back in an age where the whole family sat down together to watch television on Sunday Nights ... with typically a choice of only three television channels to choose from. AS: You're right ... this was the golden era of network television ... three major networks and that was it ... not like the hundreds of cable channels we have today. If you lived in a major city, you might have six or seven channels ... the three major networks and perhaps up to three or four local affiliates ... but Ed Sullivan had a regular viewership that tuned in faithfully every Sunday night just to see who he was going to have on ... and week after week, he rarely disappointed, always having the biggest names in every field of entertainment on his program. kk: And it wasn't just the entertainers appearing on the stage ... it was amazing to see who might be sitting in the audience on any given night! Ed would always find a way to recognize every celebrity on hand. AS: He knew everybody ... and he was always looking for the next hot act. After working on his newspaper column and rehearsing the television show, Ed and his wife Sylvia would go out every night to nightclubs and theaters, often staying out till three in the morning seeking “the next big thing” for the show. This was the life they both enjoyed. AS: So you remember that very first Beatles appearance? So many of us do ... it was a life-changing moment for many of us. By then, early 1964, we had heard the records but we had never SEEN The Beatles. You had the record album covers to look at, of course ... but we had never seen them perform live ... and witnessed their wit and charm and charisma. The Beatles' first performance drew 73 million viewers ... it's a mind-boggling statistic ... that THAT many people would tune in to see one act perform ... and a relatively unknown, unproven act at that! But you have to understand that Ed's program regularly drew 30-35 million viewers, each and every week. That's almost unheard of in television today. Today the only programs that generate that kind of an audience ... 30 million viewers ... would be something like a major sporting event like The Super Bowl ... or perhaps the season finale of "American Idol" ... but Ed Sullivan delivered those kinds of ratings on a regular basis back then when there were less than half as many Americans. Now consider that there were far fewer televisions in homes back then ... and the numbers become truly staggering. kk: This is true ... today most families have a TV in every room ... and each member of the family goes off on their own, closes the door and watches what THEY want to watch, from a choice of over 200 different channels! It's not like the old days where the whole family would sit down together and watch ... and enjoy ... the same program! Now I'll admit to leaving the room whenever something of lesser interest came on the screen ... but we didn't stray far for fear of missing something new and exciting. Ed ALWAYS seemed to have a way of catching an artist RIGHT when their latest hit record was soaring up the charts! AS: It didn't take long for people like Berry Gordy of Motown to catch on ... back then the new record releases came out on Monday ... and if your act was performing on The Ed Sullivan Show Sunday Night, it was pretty much a sure thing that the kids would be hitting the record stores the very next day, buying the latest hit record they heard on TV the night before. And Ed Sullivan knew this. He was very in tune with the power of the media and the power of his program. kk: His program always seemed to capture an artist at exactly the right time ... just as their latest record was about to break big, they'd be on the Sullivan stage performing it live! AS: And certainly those performances helped to break that new record big ... and the record company executives KNEW this. It was quite the coup to be asked to perform on The Ed Sullivan Show. kk: And the way he found these acts was sometimes amazing, too. Had he not been at the airport in London at the exact moment The Beatles were landing, he may never have even booked the lads on his television program! AS: You're right ... Ed was landing at London's Heathrow Airport when he and his wife saw literally THOUSANDS of screaming girls ... and a few boys ... waiting for The Beatles' plane to come in from Scotland. Ed asked what all the fuss was about ... at first he thought perhaps this crowd had turned out to see The Royal Family! When he learned that they were all there to see a pop group called The Beatles, he immediately started seeking out their manager when he got to his hotel. Now this was in November of 1963 ... The Beatles weren’t even dominating the charts in America yet ... in fact, they had yet to have their first U.S. hit record ... but he made Brian Epstein a standing offer on the spot that whenever they were ready, he would book The Beatles on his program ... same deal he had given Colonel Parker and Elvis Presley in 1956 ... three separate appearances. And The Beatles were smart to wait ... as part of the negotiation, Brian Epstein insisted on three things that had previously been decided upon by John and Paul: that The Beatles would not come to America until they had a #1 Record ... that they would have their first major concert appearance at Carnegie Hall in New York City ... and that they would receive top billing on Ed's program ... again, a VERY bold move for an act that had no proven history with an American audience up to this point. The Beatles themselves were unsure as to just how well they would go over here in America ... no British act had ever really had this type of blow-out success before here in The States ... but Brian Epstein believed in his band and negotiated a pretty remarkable deal that Ed Sullivan whole-heartedly agreed to. The Beatles' appearances on The Ed Sullivan Show proved to be ultimately more popular than those of Elvis Presley some eight years earlier! It was seen by over 72 million people and had an 82% share of the audience. Amazing! kk: It was quite exciting to see ... and the footage still holds up incredibly well today. And who would have ever thought that also on the bill that night was a young Davy Jones, then acting in the musical "Oliver" on Broadway! AS: Yes! A very happy coincidence to be sure! You know some people say that The Beatles' appearance on The Ed Sullivan Show was NOT their first American television appearance ... and they'll site a short clip that aired on The Jack Paar Show two weeks before ... but that clip didn't really show The Beatles performing ... it showed the fans turning up at the airport to greet The Beatles and made fun of their unusual hairstyles. 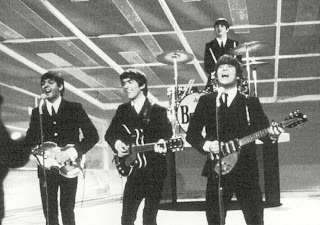 In fact, right before their Sullivan appearance, Walter Cronkite had run a short newsreel clip of the pandemonium of Beatlemania at a European appearance ... but The Beatles' appearance on The Ed Sullivan Show was their first LIVE appearance on American television ... and this is the one that we all know gave rise to Beatlemania here in full-blown fashion. 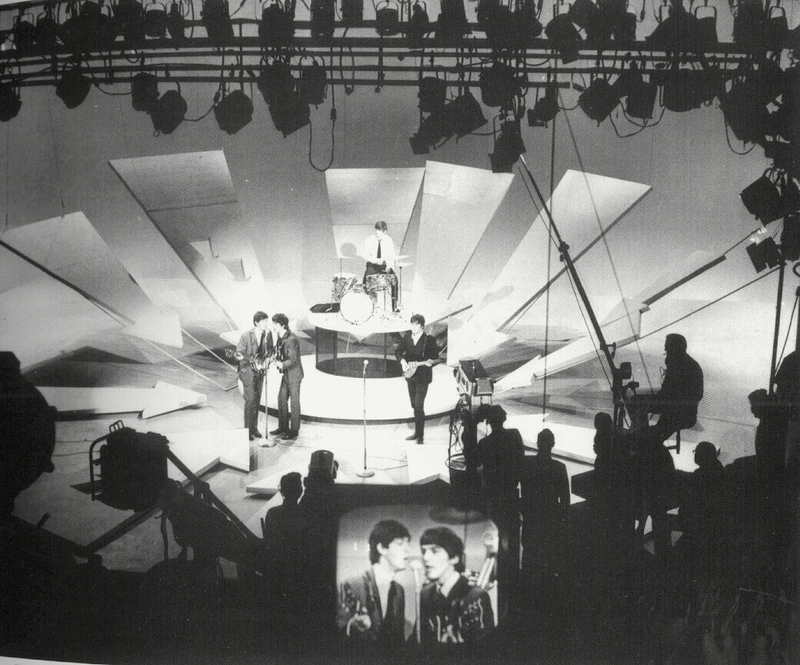 The Beatles only made four live appearances on Ed Sullivan ... the original three as stipulated by their contract signed in 1963 and a fourth appearance in 1965 that aired just prior to their appearance at Shea Stadium. kk: Right ... this was the one where Paul performed "Yesterday" completely solo without the other three ... something ELSE that was unheard of for the time. And then Ed went on to introduce them at Shea Stadium, too. AS: Ed seemed to have a real rapport with The Beatles ... and certainly they were appreciative of the exposure his program brought them in America. Sullivan Productions produced the Beatles’ Shea Stadium concert and the film that was made of the historic event. 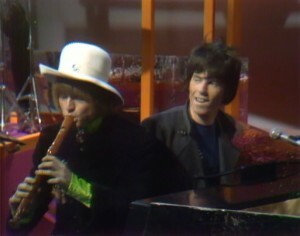 Even though they never appeared again live on his program, they would send in films of themselves, performing their latest hit records ... videos like "Paperback Writer" and "Rain" ... some of the very first rock music videos really ... they stayed connected to The Ed Sullivan Show for the rest of their careers. They had miming laws in Great Britain that didn't allow an artist to lip-sync their records on television so The Beatles started making music video clips of their latest hit singles ... and several of these aired here first in America on The Ed Sullivan Show. Andrew Solt's resume reads like a book of dreams and wishes. By the time Solt purchased the exclusive rights to The Sullivan Show (1990), he had already built an incredible list of credentials. In the late 1970's and early 1980's, Andrew worked with underwater pioneer Jacques-Yves Cousteau on several television projects. He wrote and produced "Oasis In Space", a six-part half-hour series, executive produced by Jacques Cousteau and his son, Philippe. This series resulted in Andrew's first of nine Emmy nominations. Several other Costeau projects followed. In 1979, Solt teamed with producer / director Malcolm Leo to create one of the very first television documentaries about rock music. The highly praised "Heroes Of Rock And Roll" aired as a two hour special later that year. In 1995, Solt expanded his Rock And Roll horizons by executive producing a Ten-Episode series for Time-Life called "The History Of Rock And Roll", which ran as a syndicated television series before being marketed for home video. And the rock didn't stop there ... Andrew has also produced made-for-video releases like "25 x 5: The Continuing Adventures Of The Rolling Stones" (1989) and "Elvis: The Great Performances" (1990). Other music / film credits include the 1981 film "This Is Elvis", "Imagine: John Lennon" (1988) as well as numerous Ed Sullivan television specials, paying homage to the ultimate variety host. And it doesn't stop there ... Andrew has produced anniversary and reunion specials like "Donald Duck's 50th Birthday", "The Honeymooners Reunion", "The Muppets: A Celebration Of 30 Years", "Great Moments In Disney Animation", "Remembering Marilyn", "The Andy Griffith Show Reunion", "Sesame Street's All-Star 25th Birthday", "Grammy's Greatest Moments", "CBS: The First 50 Years" as well as 75th Anniversary Television Specials for both CBS and NBC! The list goes on and on ... but THIS week he's sitting here with us here in Forgotten Hits to talk about The Ed Sullivan Show library ... what's available ... what's new ... and what we might expect to see in the years to come. Along the way, we'll share some precious memories of the television program that EVERYBODY watched ... The Ed Sullivan Show. Forgotten Hits Remembers "The Ed Sullivan Show"
Three generations grew up watching The Ed Sullivan Show on CBS Television back in the '50's, 60's and '70's. It became THE showcase for break-out, new talent. Certainly it is BEST remembered for helping to launch the careers of Elvis Presley and The Beatles ... and, while it may be true that NEITHER of these artists actually made their very first television appearance on Sullivan's program, it was The Ed Sullivan Show that catapulted each of their respective careers into the Show Biz Stratosphere! or Richard Pryor and Flip Wilson) ... a complete Broadway Production Number, recreated "right here on our stage" from "West Side Story", "Camelot", "My Fair Lady" or "Oliver" ... singers' singers like Barbra Streisand and Tony Bennett ... or Ethel Merman and Judy Garland ... and it was ALL on display ... every Sunday Night ... right in our living rooms ... and often all within the same 60 minute show! It was the very essence of family, variety TV ... and nobody did it better than this most unlikely of hosts, Ed Sullivan. An appearance on The Ed Sullivan Show was the epitome of "making it" ... The Holy Grail of Entertainment ... if you were asked to do THIS show, you knew you were either on your way ... or already there. Some of our clearest and fondest memories are of performances we saw "live" on The Ed Sullivan Show on Sunday Nights ... yet for years now, many of these have remained exactly that ... simply memories. Much of this footage has been locked up in the vaults for decades now ... but every once in a while we'd see a special new release to renew hope that some of this material might become available once again ... to the audience that would MOST appreciate seeing it! That plan now seems to be in motion ... Andrew Solt, who purchased the EXCLUSIVE rights to the entire library of Sullivan shows back in 1990, has been releasing special compilation DVD sets over the past several years, spotlighting "favorite son" artists like Elvis and The Beatles, encompassing ALL of their COMPLETE appearances on The Ed Sullivan Show into one collectors' piece home video set. 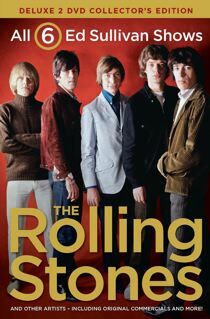 Recent releases include the complete appearances of The Rolling Stones ... a Tribute To Motown (featuring key artists like Stevie Wonder, Marvin Gaye, The Jackson Five, The Four Tops and many, many others) as well as individual releases spotlighting the appearances of Diana Ross and the Supremes and The Temptations. Of course, The Ed Sullivan Show wasn't JUST about Elvis and The Beatles ... virtually anybody who was ANYBODY appeared on this program back in the day. British Invasion acts like Herman's Hermits, The Rolling Stones, Gerry and the Pacemakers and The Dave Clark Five ... contemporary pop stars like Tom Jones, The Fifth Dimension, Neil Diamond, The Beach Boys, The Four Seasons and Simon and Garfunkel ... Soul Legends like the aforementioned Sam Cooke, James Brown, Stevie Wonder and Ray Charles. And there were SO many more one-off appearances FAR too lengthy to mention here. Imagine having ALL of these performances available for viewing again! It's something you're NOT going to want to miss ... and it's all right here EXCLUSIVELY in Forgotten Hits. Please join us for our musical tribute to The Ed Sullivan Show!!! And click on some of the sub-links to see lists of "Favorite Artists" and background history information on both Ed Sullivan, the program and SOFA Entertainment President Andrew Solt. You'll find many of these snippet clips posted here for your review! The Rolling Stones: Today's The Day! The brand deluxe DVD Set, featuring ALL of their performances from their six appearances on the program, hits stores TODAY!!! Check it out ... you won't want to miss it! The Rolling Stones open their February 13, 1966 appearance with their iconic “(I Can’t Get No) Satisfaction.” The song, now ranked #2 in Rolling Stone magazine’s “500 Greatest Songs of All Time,” is written by Mick Jagger and Keith Richards and becomes the Stones first #1 hit in the US, remaining #1 for four weeks in a row. 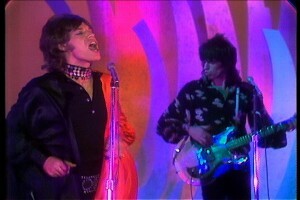 The performance is highlighted by close-ups of Jagger in full command of the stage. This classic Rolling Stones’ song is the crux of a pivotal moment in television censorship history. 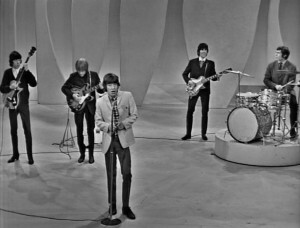 Due to its “suggestive” lyrics (for the time), CBS refuses to allow the Stones to sing the song as “Let’s Spend The Night Together” on the show. A compromise is reached and the band agrees to change the lyrics from “let’s spend the night together” to “let’s spend some time together.” During the singing of the censored line, Mick Jagger sarcastically rolls his eyes letting the audience know what he thinks of the whole charade. On November 23, 1969, the Stones perform “Gimme Shelter” off their soon to be released album Let it Bleed. These are turbulent times in the world, and in the history of the band (Brian Jones had died just months earlier). This performance really captures the turmoil of the late 60’s and the forces at war with one another. On February 13, 1966 Mick Jagger and Keith Richards perform this song as a stripped down duet with Richards softly strumming the chords on his acoustic guitar and Jagger singing directly into the camera. This performance is a rare look at the two normally flamboyant superstars as they sing this ballad simply and purely. It is a moving counterpoint to the better known fast-paced Stones rock ‘n roll. On September 11, 1966, The Ed Sullivan Show has a star-studded lineup to kick off its fall season that includes Louis Armstrong, Joan Rivers and The Rolling Stones. The Stones perform “Paint It, Black,” the first single off their Aftermath album. 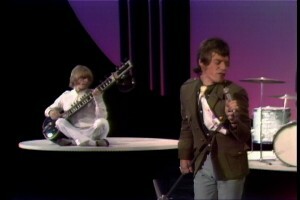 Brian Jones plays the signature riff on his sitar. The Rolling Stones perform this song to close out their debut appearance on The Ed Sullivan Show on October 25, 1964. 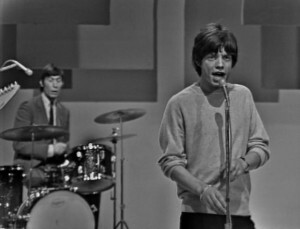 Throughout the performance, Mick Jagger, dressed in a loose-fitting sweater, does his best to sing over the raucous crowd that shrieks each time he looks to the audience or into camera. The Stones appear on Sullivan to perform this classic ballad on January 15, 1967. For the acoustic performance, the band plays a variety of instruments. Bill Wyman switches out his bass for a cello, Brian Jones plays a recorder instead of a guitar and Keith Richards takes a seat at the piano. This twanging country tune is performed by The Rolling Stones on Sullivan on November 23, 1969. Having topped the nation’s charts just months earlier with this song, the performance is powerfully delivered by the band that is now atop the world of rock ‘n roll. 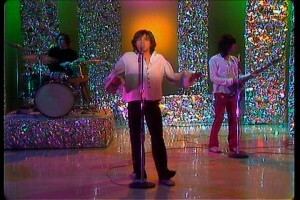 This is the last song The Rolling Stones will ever perform on The Ed Sullivan Show. The Stones deliver an intimate performance of this song on September 11, 1966. 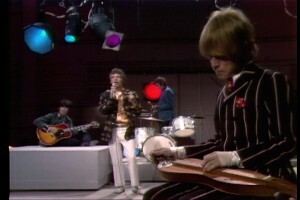 Brian Jones, who had broken his hand, provides a haunting instrumentation as he sits Indian style playing the dulcimer with a cast on his left hand. This is an especially rare performance, since following Jones’ death in 1969, the Stones stop performing the song. 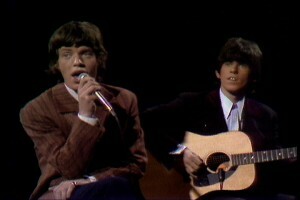 For their final black and white Sullivan appearance, the Stones perform their classic hit on May 2, 1965. Perhaps in an attempt to avoid further complaints about their unrefined image, The Stones don sports jackets and drummer Charlie Watts even wears a tie. 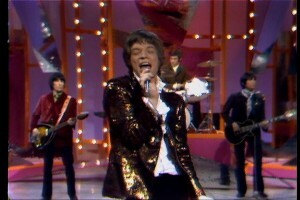 Throughout the performance, Jagger involves the crowd in the song, pointing and singing “I need you, you, you!” The audience responds with shrieks and screams. Kicking off tomorrow in Forgotten Hits is our EXCLUSIVE Interview with Andrew Solt of SOFA Entertainment. In 1990, Andrew purchased the rights to the ENTIRE Ed Sullivan Video Library ... and he has been releasing more and more of this material on home video. (Recent releases include not only this Rolling Stones collection but also recent collections spotlighting Diana Ross and the Supremes, The Temptations, a "Best Of Motown" compilation ... as well as individual sets spotlighting the complete performances of both The Beatles and Elvis Presley. In addition, several OTHER compilation disks are available ... featuring The Rock And Roll Years, Comedy Highlights, the best of the "highbrow" arts (he calls it "The Classic Arts") ... and even a disk dedicated to Topo Gigio!! !